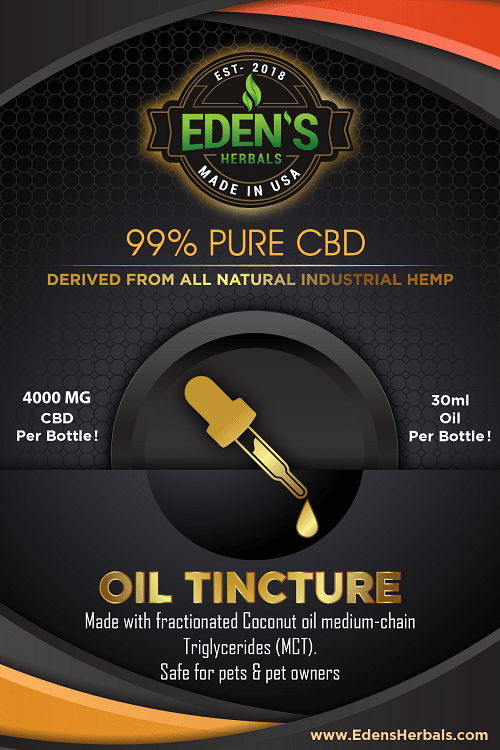 Each bottle of our smooth CBD Oil Tincture contains 99% pure CBD. 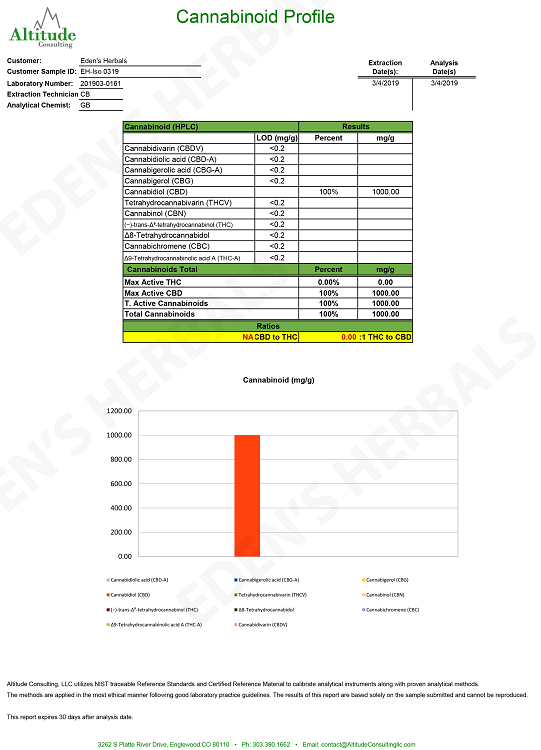 Our CBD is lab tested to ensure only the best quality CBD is used in our products. CBD has been shown to help with stress, inflammation, anxiety, depression, nausea and insomnia. Contains 30ml of CBD Oil. Made using Keto-Friendly Coconut MCT Oil, which tastes great and provides amazing added health benefits! Holy [email protected]##$ by far the best! This is the best stuff I have ever taken...ever! Dosage: We recommend starting with a few drops under your tongue. If you can tolerate the dose, continue to increase the amount until desired relief is reached.